Renault India, one of the fastest growing automotive companies in India, started taking pre-launch bookings for its much awaited global hatchback, ‘Renault KWID’. This will be the most fuel efficient petrol car in the country delivering mileage of 25.17 kmpl which is enabled by a 3 cylinder 0.8 liter SCe – Smart Control Efficiency petrol engine. Renault KWID also boasts of several features which are best not only in hatchbacks, but also cars in segments above. They include a best-in-class ground clearance of 180 mm and a boot capacity of 300 litres with a 7 inch touchscreen Media Nav system and a digital instrument cluster. The length and width of the car is also one of the best in entry and mid-sized hatchbacks. Renault KWID, Renault’s Global Compact Hatchback for conquest will be first launched in India and thereby reflects the importance of India in Renault’s global expansion plans. One of the most important parameters in this segment is fuel efficiency and Renault KWID is a clear winner in this regard. 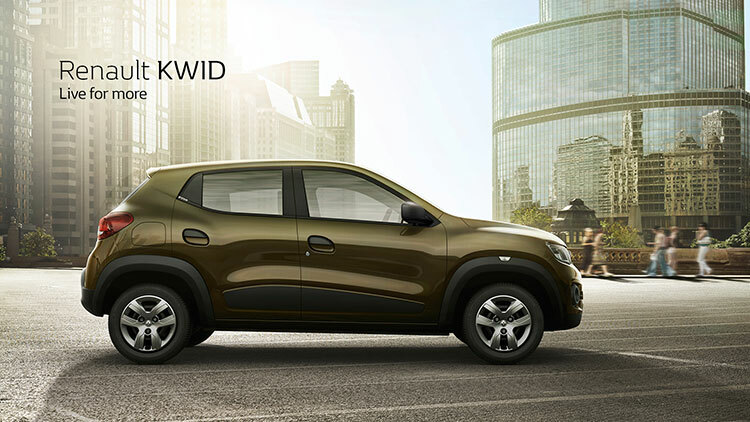 Together with this, Renault KWID boasts of several class leading and segment-first features. Renault KWID is also launching with game-changer communication tools, which is led by the Renault KWID App and the Renault Virtual Showroom. For the first time in India, Renault has launched the Renault KWID Virtual Showroom, which is a live sales demonstration and objection handling portal. Prospects can come in and book a slot. At the designated slot, trained sales consultants will take the prospects through the car via a live video demo online. Then questions can also be answered. It takes consumer selling to a whole new level. This level of innovation is not present even in other high involvement product categories. Another first is the fully equipped Renault KWID App. It is a one stop app with all features, competition comparisons, reviews, 360 degree view, etc. Interested customers can also select dealers and proceed to book the car through the App. This sets a new benchmark in consumer selling in the automobile category. The initial response on the Renault Virtual Showroom and the Renault KWID App has been overwhelming. Renault KWID, India’s most fuel efficient car has a brand new highly efficient drivetrain, consisting of a 3-cylinder, 0.8 litre, 12v engine, coupled to a perfectly optimized transmission, which works seamlessly and in perfect harmony to provide best-in-class fuel efficiency. The 4-valve-per cylinder DOHC engine also utilizes a lifetime maintenance free timing chain for unmatched durability. It is equipped with technologies like steel forged crankshaft with optimized bearing dimensions, stainless steel close coupled catalytic converter, double loop lambda monitoring for accurate air / fuel ratio monitoring. All these features and elements synthesized in tandem make Renault KWID India’s most efficient car in terms of fuel economy. With Renault gearing up for the festive season and with the opening of new dealerships all across the country, Renault KWID will also soon claim the top spot in terms of ‘Hassle Free Maintenance’. 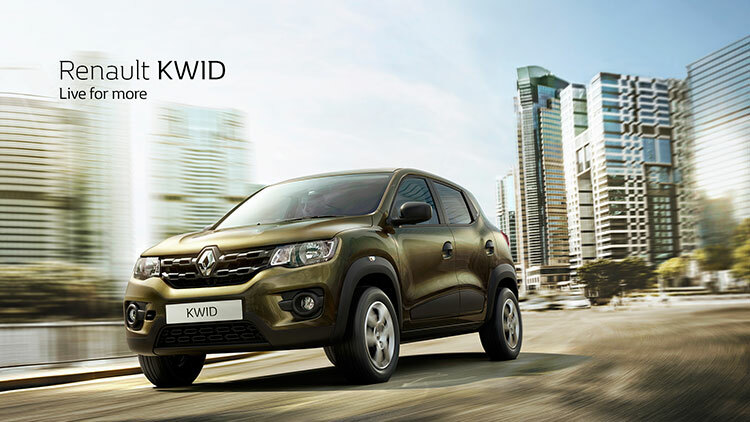 Renault KWID has a low friction engine design for low energy loss and optimum fuel efficiency. The engine also has a reduced oil capacity that translates to lower maintenance cost. Renault KWID will also be best-in-class in maintenance part costs due to aggressive localization, which stands at 98%, which will positively impact the overall ownership cost. Renault will offer a 50,000 Km/2 years Maintenance Policy, extendable up to 80,000 KM/4 years, to the discerning Indian customers. Renault will also offer complementary Road Side Assistance for 2 years. Renault will target the heart of India’s automotive market clearly indicating its product offensive strategy in India. Together with driving volumes, Renault KWID will also see Renault substantially increasing its network (sales and service) reach in India. Renault will grow its sales and service presence across the country and plans to reach 205 sales and service outlets by the end of this year and 280 sales and service outlets by next year, almost doubling its current reach. Also read: Renault Kwid available in 5 different colors. Are you booking the new Renault Kwid?